There are times when students cannot carry the financial responsiblity that comes with education anymore, especially since tuition prices are now skyrocketing along with everything else. As a solution for this, both private and public sectors provide various forms of financial aid for students to continue their studies. Applying for financial aid entails filling out Financial Aid Forms. 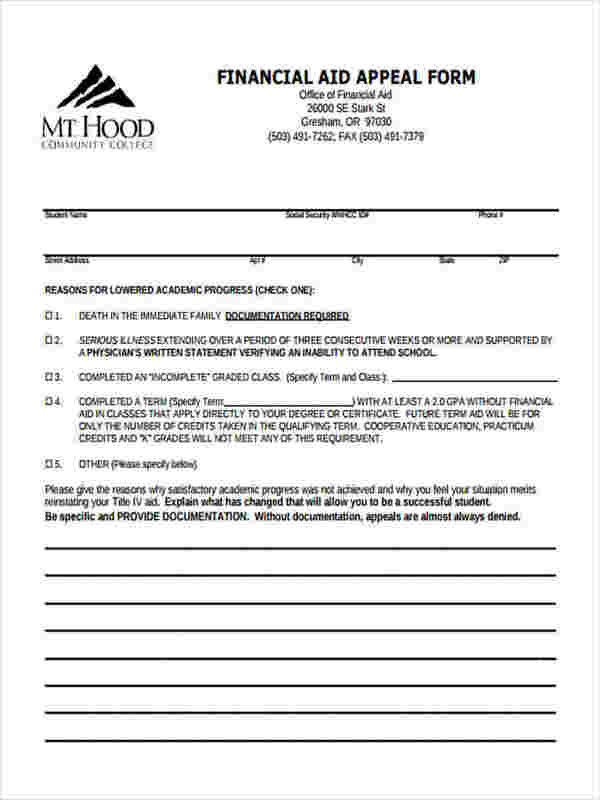 The appropriate forms have to be filled out properly and completely so that the approving party will have all the information they need to help them decide if they will approve the application or not. The right forms will have all the fields necessary for the proper input of information. See our samples below to get the gist of things. Grants – These are government-issued financial aid that do not have to be paid back. One example is the Pell Grant, which is provided to undergraduate students with a low income to help them pay for their tuition. 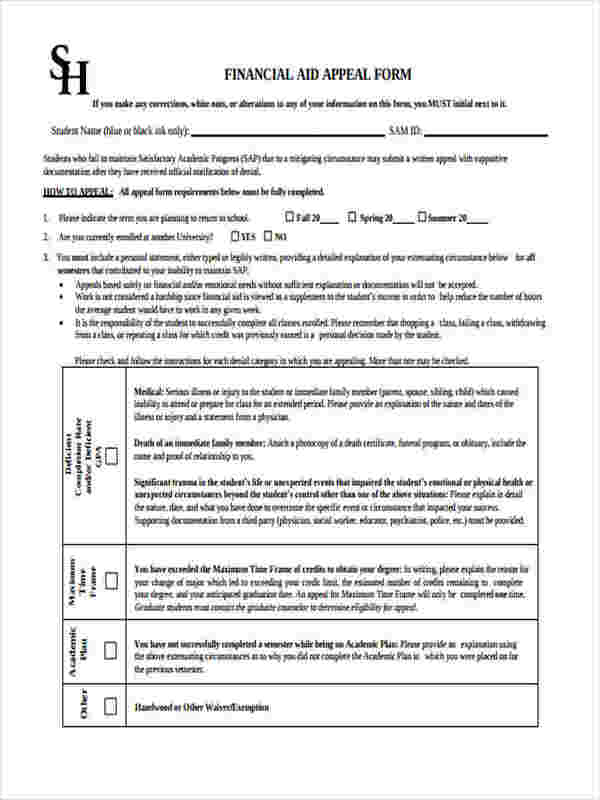 Certain Financial Questionnaire Forms have to be filled out to assess the qualification of the student and how much of the tuition would have to be shouldered by the federal government. Student Loans – Students loans have to be applied for with caution since they have to be paid back. There are loans that are provided by the private sector and the government. Those that are provided by the government are much preferable since they usually have lower interest rates and a more flexible payment plan than their private counterparts. Federal work-study – This is a type of financial aid wherein a student’s educational expenses are paid through part-time employment. The organization providing financial aid would have to calculate the income of the student and that of his family. Then, the total expenses for the student’s education, depending the university, will be calculated. The difference between the income and the expenses is the need of the student, which determines the amount to be paid for through financial aid. Certain Financial Forms may be used for these calculations. 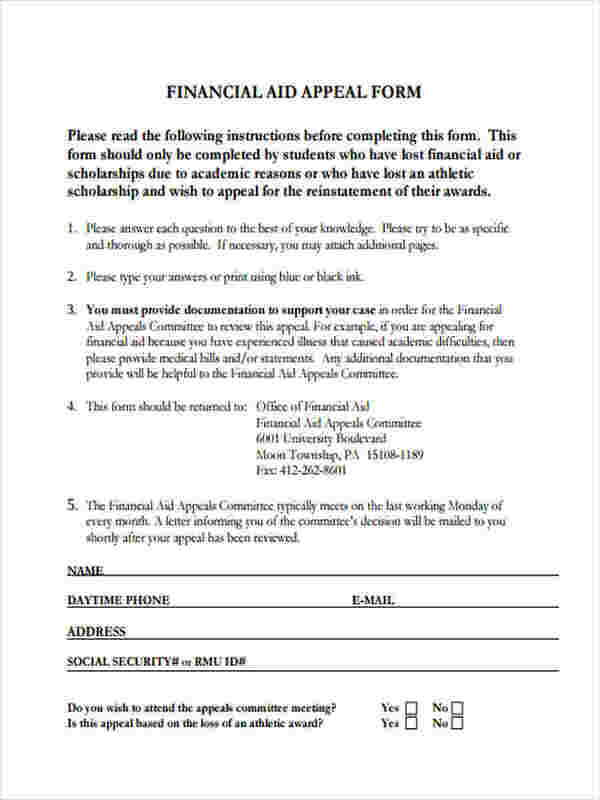 What is a Financial Aid Appeal Form? 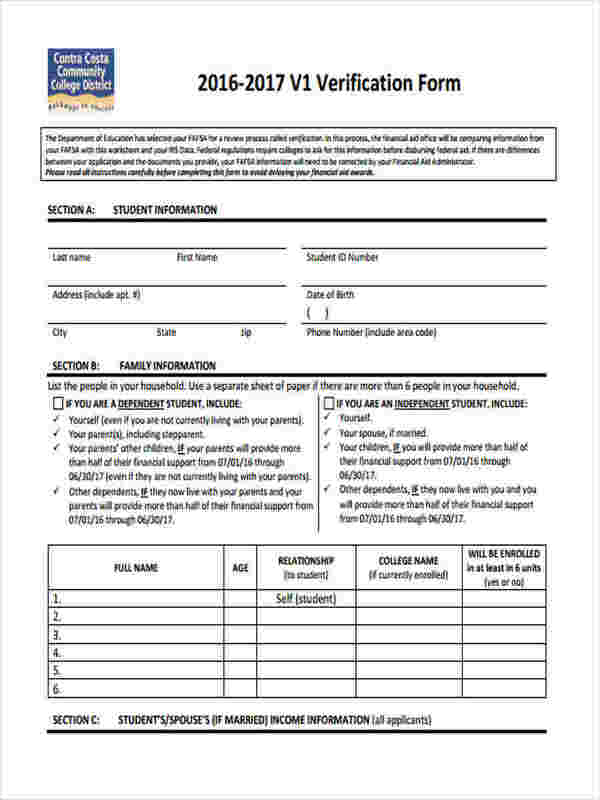 This is a Financial Aid Form that can be used by students whenever their financial circumstances have changed for the worse and they require more financial assistance. Such circumstances could be the result of lesser family income due to a divorce, hospitalization in the family, parents getting laid off from work, or any other factors. The appeal could be an adjustment for the student’s cost of attendance, expected family contribution, or awards. When submitting such appeal forms, you will be dealing with bureaucrats, so professionalism and accuracy is a must. One may be asked to present a Financial Affidavit Form to attest to the change of the family’s income. The information you input on your Financial Aid Form will determine the amount you will get, so it is important to fill out this form accurately and without leaving out any information. 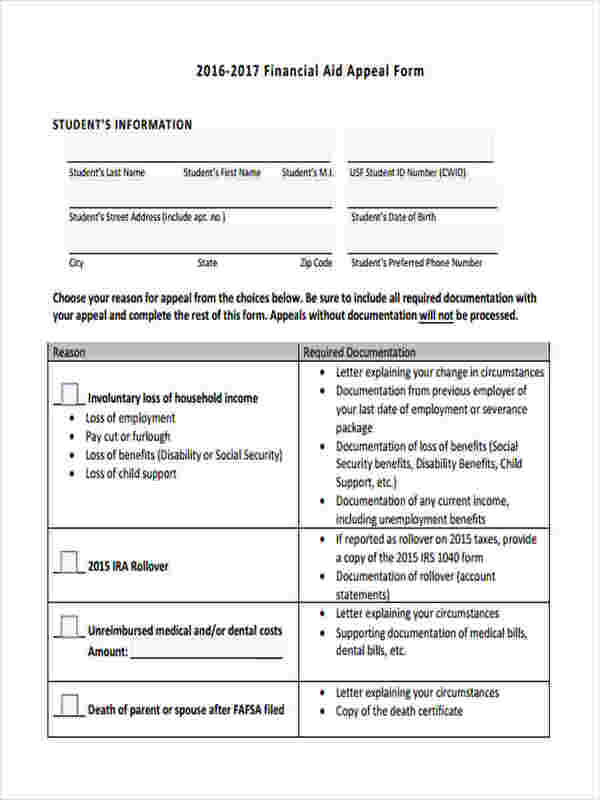 Before actually filling out a Financial Aid Form, you and your family would first have to complete your income tax return forms since this will help in identifying the need for your educational expenses. 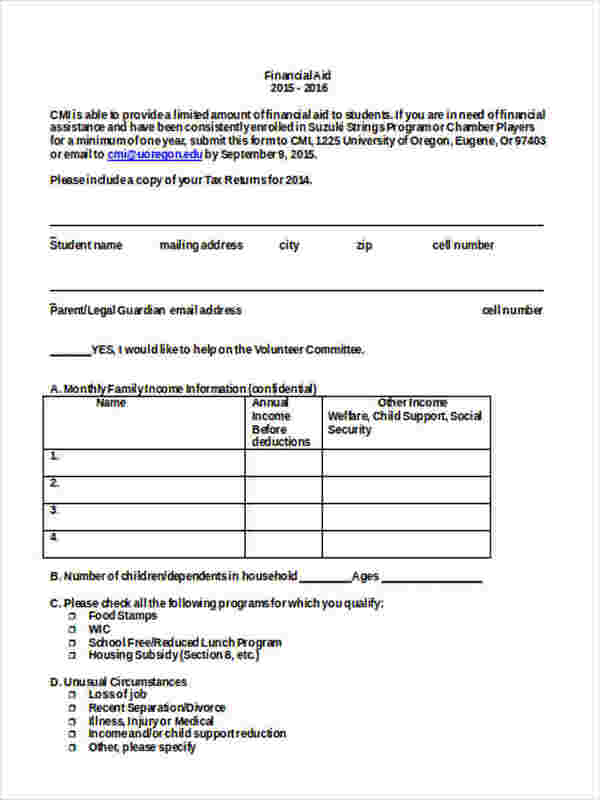 You may also see our other Financial Assistance Forms for more references.